The open-plan bathroom suite has become common in luxury hotels around the world. By simply removing a wall or two, it’s possible to create an ensuite that is an extension of the master bedroom in your own home. If you’re considering something different in your bathroom design, this could be a great option that stands out from the crowd. What are the benefits of an open plan bathroom bedroom? Although this idea might seem a little alternative, there is actually more merit in opening up the bathroom than many people give it credit for. 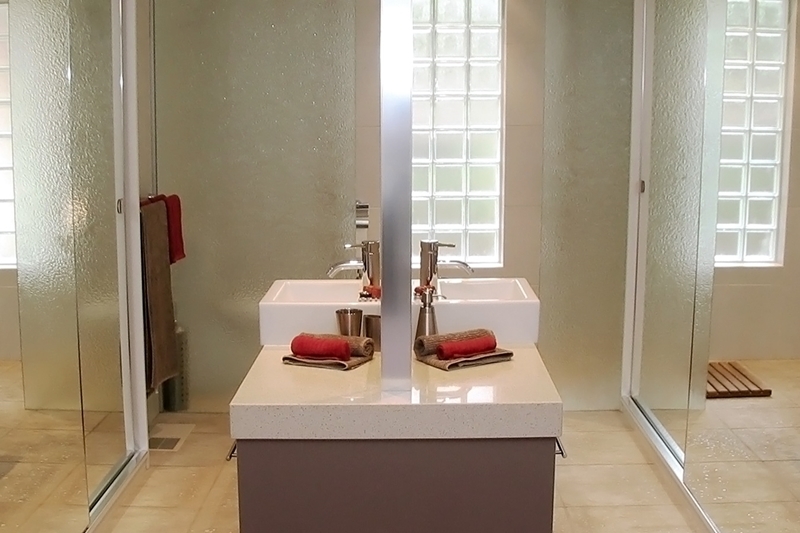 In small bathrooms, it maximises the total area of the space – allowing more light and air to penetrate the room. It can also work on the other side of the wall too, making the bedroom feel larger. One of the main issues that people have with open plan bathrooms is the loss of privacy. Naturally, we value privacy and personal space, but this notion is changing. The designer of the open plan bathrooms in the Hotel Particulier Montmartre in Paris explained that he thinks of bathrooms more like living rooms. “A bathroom is a private place sometimes but it’s also for sharing,” Morgane Rousseau said, according to Slate. We agree open bathrooms are like open kitchens – a modern sign that our lives have become more accessible. We are more comfortable than ever and this is a great way to go. Of course, you can have privacy and an open plan bathroom. In some hotels, the bathroom folds out and acts as a room divider. It’s still one space that increases floor space but can provide that privacy that is sometimes needed. At Bubbles Bathrooms, we have a passion for new and creative design trends. In fact, we have already completed a successful open plan bathroom bedroom project. Open plan bathroom bedrooms are a growing trend. In Mt Waverley, we removed the main wall between the bedroom and bathroom – designing an ensuite that is spacious as well having elements of privacy. In the middle of the space, there is a mirror separating his and hers two basins. This ensures both parties can get ready in the morning without disturbing each other. The robes also have separate hanging areas! This bespoke solution was well-received and is something our design team is very proud of. If you’d like to learn more about open plan bathroom bedrooms, get in touch with us today!